Knit your sweaters in one piece–from the top down, the bottom up, or from cuff to cuff–for the whole family, with minimal seaming required! 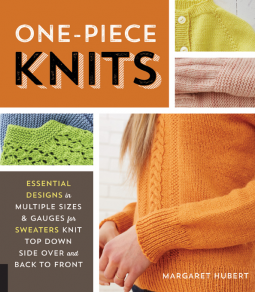 The Complete Guide to One-Piece Knits offers charted patterns sized from infant to adult and in multiple gauges for classic one-piece knitted pullovers and cardigans knit in top down (both raglan and yoke), bottom up (from waist or sleeve to neckline), and side over (from sleeve to sleeve) styles. Additional patterns for each style feature alternate stitches, simple color work, and neckline and sleeve variations. A helpful resources section offers guidance on basic techniques. I am still processing this book even after I have finished it. 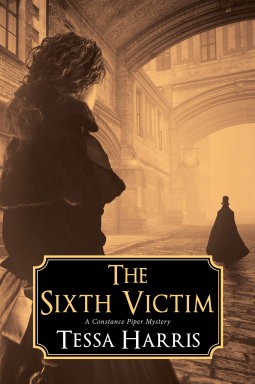 It is set during the time of Jack the Ripper (still can’t believe they haven’t solved that one) killing rampage. It is told from alternate points of view (which the author made it very easy to tell which point of view you were reading). For which I am grateful. There are multiple plot lines and characters to keep track of. It is a very easy enthralling read so that is not an issue. The reason I gave it four (4) stars is because I really wanted to have more of a who is Jack the Ripper plot line in it. So the star rating was my disappointment. Otherwise I would have given it a full five (5) stars. This is a fault of my own making not the author or publisher. Constance is a wonderful character that, frankly, deserves more credit for what she is and even though she is the main character she seemed to be shoved to the side by the force of the side characters, but this my just be my opinion and observations. The characters are very well written and you are able to use your own imagination as to what they look like and how they move. If you like mysteries and this time era then I do recommend this book. Even if you don’t normally read this type of book I think you will enjoy the surprises that are found within this book. Ghosts, murder, secret societies, etc. who couldn’t enjoy this? This book took me by surprise. The layers in this story is wonderful. It keeps you hooked from the first page. Teddy is a woman that a lot of people (including herself) don’t understand. The author did a wonderful job as to make you think that this is a possibility and that there is a school like it. Do not think this book is going to be an adult version of Harry Potter. There is no magic in this book. Just simple believable mind powers that the author makes you believe could be possible and who knows it just might. The characters and story line is so well written that you know what they are going to do but at the same time you still have the ability to make a mistake about what they did and how they handled them. Personally, I expected this book to go a complete different way then it went. I, for one, can not wait for the next book in the series to come out to find out what happens to Teddy and the rest of the misfits. 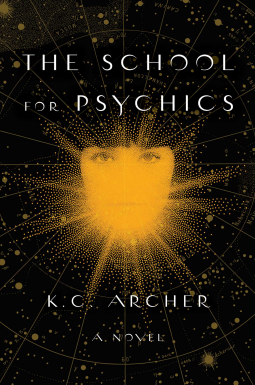 I recommend this book to everyone that enjoys a captivating read. Be fore warned though that you may wind up reading it all night long.